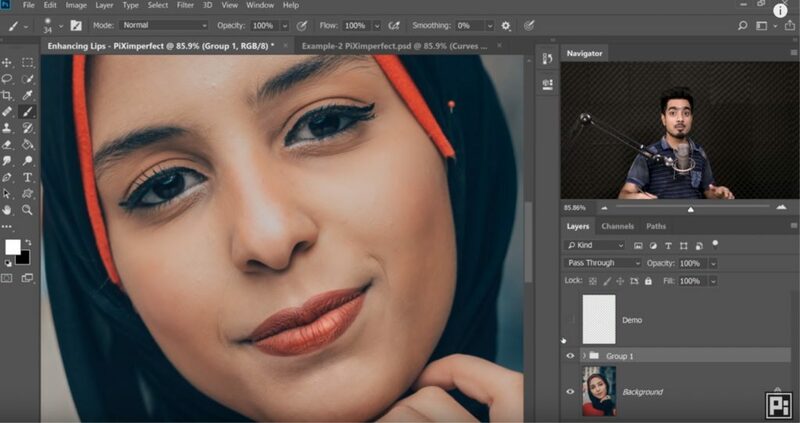 Unmesh Dinda of PiXimperfect shows you a technique you might want to try out. 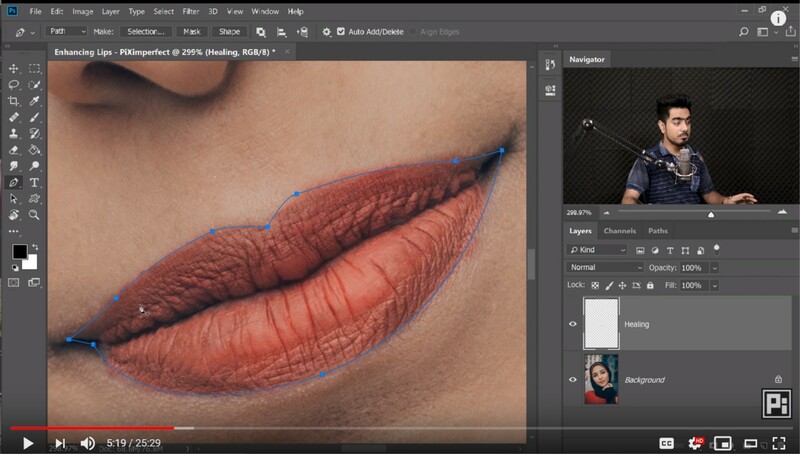 In this video, he teaches you how to create stunning lips in Photoshop. Removing any cracks or areas that may be distracting. 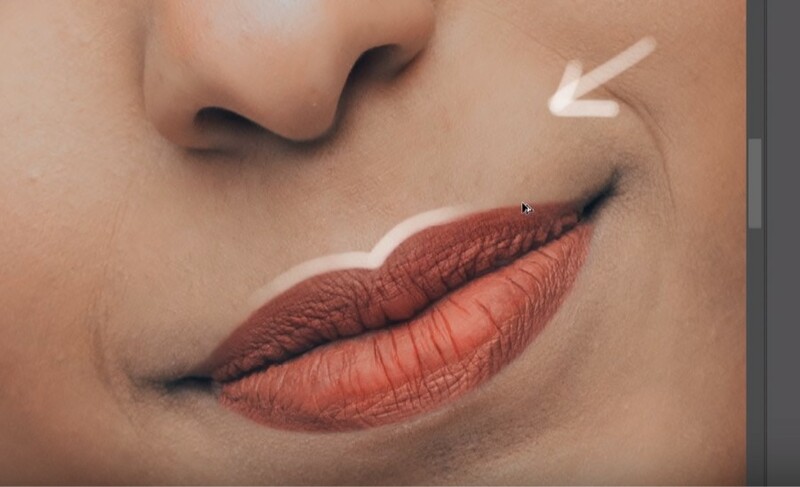 In this step Unmesh recommends only removing blemishes that are temporary, leaving those which are permanent or characteristics from he person untouched. 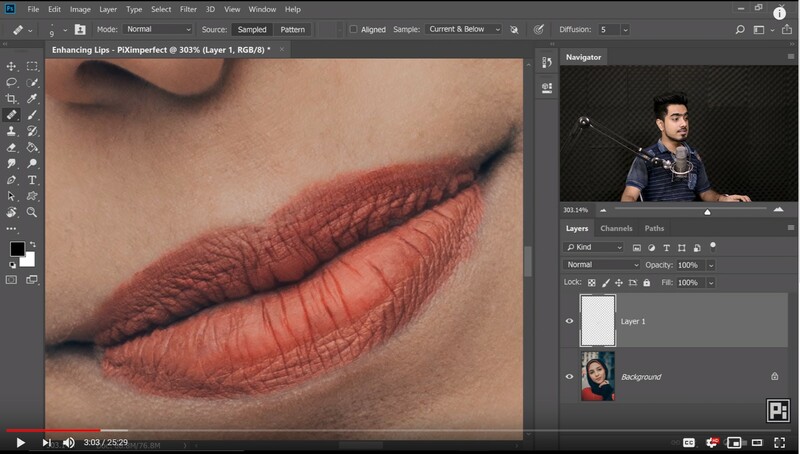 In order to clean the lips he uses a new layer with clone stamp tool sampling current & below layers. You can adjust this path anytime you’d like. Once you have saved the path in your path section, rename it to “Lips” so it doesn’t get deleted or overwrite, press Ctrl+ Click on Windows or Command + Click on the path layer to create a mask. Now proceed to blur the selection: go to Filter > Blur > Gaussian Blur, a blur Effect of 3.2 will do fine. Press Q again to go back to the marching ants view. Now we have a soft feathered selection. Create a new layer and call this layer Outline. Press CTRL+SHIFT I to invert the selection. Now using the clone stamp tool , take a sample of the outside of the lips and paint on the edge of the lips. After doing the outside, repeat the process from the inside. 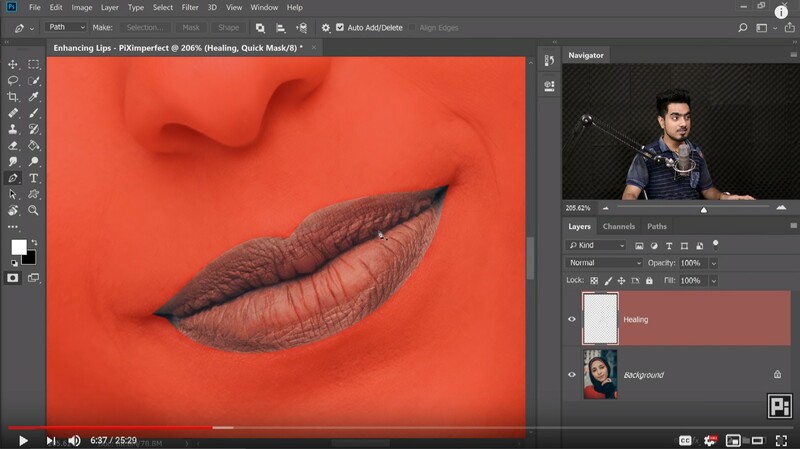 Once you are done, decrease the opacity of the Outline layer to around 65% so it looks a bit more natural. In order to dodge, we will create a curves adjustment layer with the curve all the way up. To burn we will create another curves adjustment layer with the curve all the way down. We are gonna use curves again!. Add a new Curves adjustment layer and bring the curve up. then double click on the layer to apply blend if. Repeat the process to brighten up different parts of the lips. And voila! Now the lips look stunning ! Have you tried this technique before? I’d like to see your before & after results in the comments section below, please share !